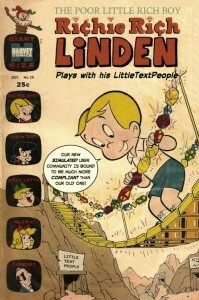 Second Life developer Linden Lab has acquired the experimental game studio LittleTextPeople, which specializes in exploring the emotional possibilities of interactive fiction.This marks the first acquisition for Linden Lab since former Sims developer Rod Humble took over as CEO in 2010, and falls in line with the comapny’s new strategy to experiment with game design and develop products beyond Second Life. LittleTextPeople, founded by writer Emily Short and Maxis veteran Richard Evans, has so far focused on the development of software that replicates complex social interaction. For instance, among its internal technology is a simulator that models social behavior and individual personalities. The article goes on to talk about it’s great use in interactive novels. I can see a lot more usefulness beyond that – particularly in the education and simulation sphere. I doubt that’s the direction LL will take it however. You can also view the full press release here. The pic on this post is from Botgirl Questi’s blog – check the brilliant pic out in full there.